Good health depends on a lot of different factors, and a proper blood circulation is one of its main ones. The blood in our bodies is the responsible fluid to take nutrients and oxygen from one spot to another. Helping our body functioning correctly and being balanced. Whenever our blood circulation fails to deliver the proper nutrients to the specific parts of our body, that leads to a diverse range of health issues. If these issues are left untreated, poor blood circulation can cause severe damage to our heart, brain, liver, limbs, and kidneys. There are many reasons why you may suffer from poor blood circulation. One of the most common ones if atheroscletosis. Which is also known as the hardening of the arteries. As well as peripheral artery disease (also known as PAD). However, poor blood circulation can also be a result of a variety of health problems. Such as heart diseases, diabetes, blood clots or obesity. An excess of drinking, smoking, and also things like eating disorders or pregnancy can make you extremely vulnerable to this conditions. If you are aware of the symptoms that show up when your blood circulation isn’t the appropriate, you will be able to control the reason behind it and find a timely treatment. Poor blood circulation can also lead to heart attacks, strokes, or even death. So make sure to check up with your doctor if you experience any of the symptoms listed below in this article. Keeping a healthy blood circulation is key to staying healthy and leading a good lifestyle! Doctors can process a number of tests on you to find out what is causing your poor blood circulation, thus finding an appropriate solution in a timely manner. 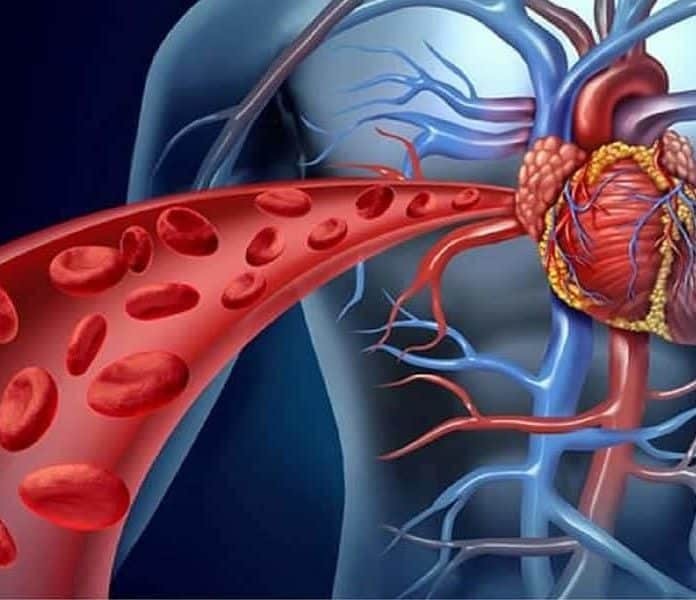 So read our article below to find out more about blood circulation. A number of causes can produce swelling on your feet. For example, sitting or standing for a very long period of time in the same position. Or suffering from obesity, malnutrition or PMS (pre-menstrual syndrome). Among others such as high salt intake, ageing, leading a sedentary lifestyle or being pregnant. However, these listed types of swelling are only temporary and do get better within hours. If the swelling or edema on your feet lasts for a long time, then the reason may relay on poor blood circulation. The explanation for this is that the lack of proper blood circulation make it so that the kidneys are unable to function as they should. By not being able to keep fluids in the blood vessels where they should be. The result of this is the leeching out of fluids which then settle in the surrounding tissues. This leads to swelling. In very severe cases, this poor blood circulation process can cause leg ulcers. An easy trick to reduce swelling on your feet and legs is by laying down and raising your legs above heart level. Use some pillows or a higher chair to do so. Relax and apply cold if possible (never directly on the skin, always use towels or blankets to prevent skin burns from ice). If swelling does not reduce within a couple hours, please do consult your doctor. Blood circulation should improve once you’re laying down. But if it doesn’t, it could be a sign of poor blood circulation and needs to be diagnosed. If you also get swelling in other extremities or if your swelling includes discolouring or bruising under your skin make sure to inform your physician about that. Take pictures and write down when it happened and how it happened, if anything triggered it.